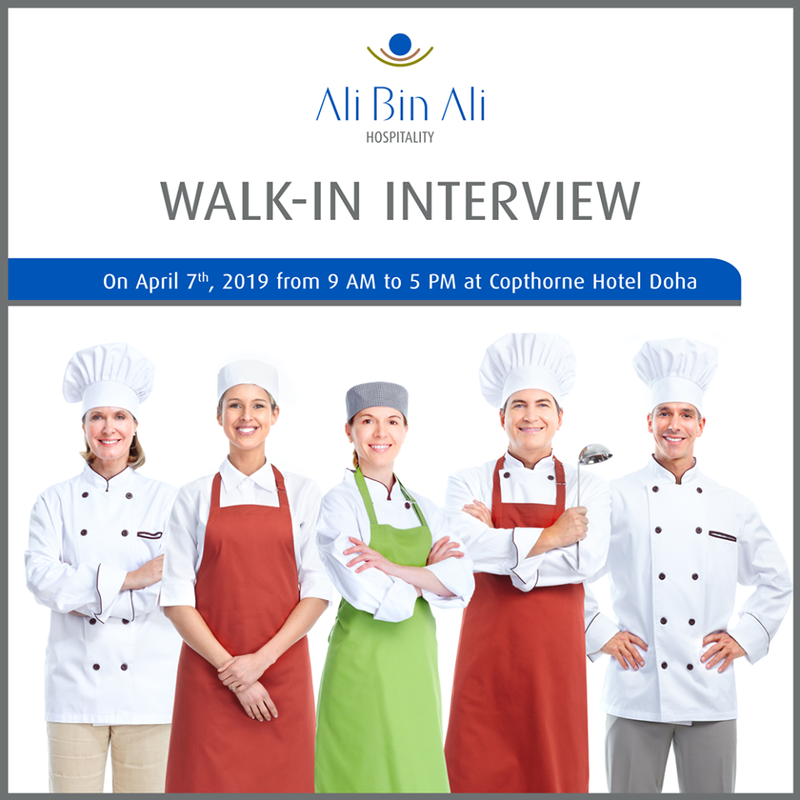 On April 7th, 9 AM to 5 PM at Copthorne Hotel, Doha. Ideal candidate should have 1 to 2 years’ experience in a similar role. Candidates with previous experience in gourmet cuisine will be preferred. Candidate should be presentable, good command of the English language, Arabic is an advantage. For the front of house roles candidate should be under 35 years of age.